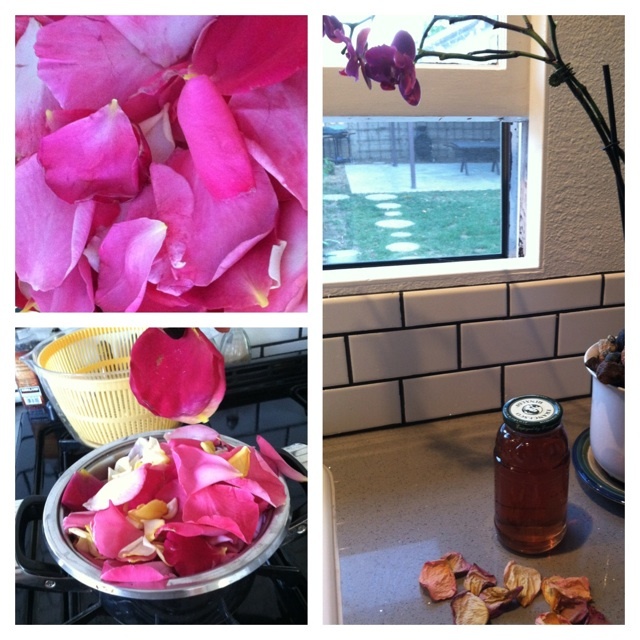 California Guest bath and beauty crafter Melissa G. has been busy collecting fresh rose petals from her sunny neighborhood. Before they dry up, she wanted to capture some of the natural goodness found in their satiny petals! Ahhhh........ rose water! 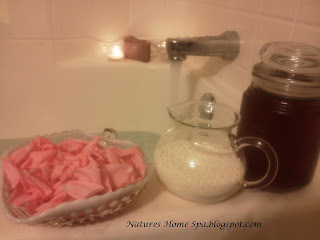 There is nothing so awesomely pure as homemade rose water. 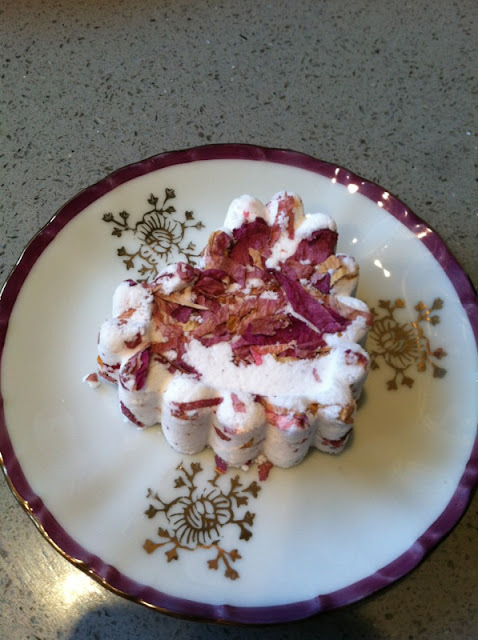 Gathered and steeped without much trouble at all, rosewater makes a name for itself in it's many uses. In ancient times there is evidence of the women using it as a rinse to soften their hair. It is said that Cleopatra used it as an ingredient in her face masks. In your natural made face masks, or clays, just substitute the liquid for rosewater. It is good for all skin types. The presence of vitamin C in roses speaks of it's antioxidant property to protect skin cells from damage which makes it great as a refreshing, uplifting face spritz, and natural toner for its soothing qualities and anti-inflammatory properties. As a cleanser rosewater removes dirt and impurities from the pores leaving the skin hydrated. Use it in homemade moisturizing lotion. That said, rose water is pricey............ make it yourself, at home with your own fresh picked beauties! 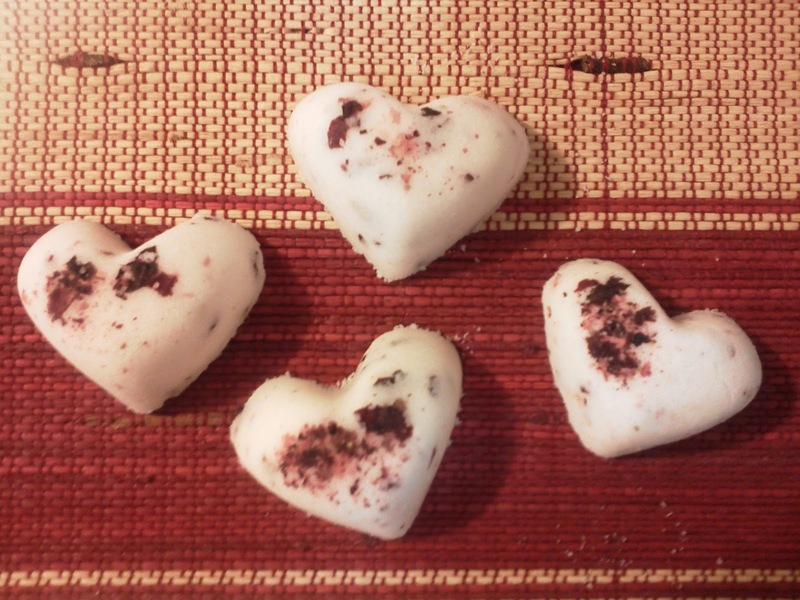 Or bath melt bombs made with natural oils. Isn´t it wonderful what all things nature gives us! Yes Kirppu it is wonderful all the goodness of nature, all from our good God!